Holds a practising certificate as a solicitor issued by the Law Institute of Victoria, Australia. Exempted from holding a licence by Immigration Advisers Authority, New Zealand. Lloyd speaks fluent English and Malayalam. Though not fluent, he also can speak Hindi. 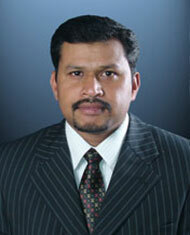 He has a special interest in skilled and business migration. As an immigrant himself, Lloyd understands the hopes and dreams of those who wish to migrate and is committed to providing the best services. Your cases will be handled by Lloyd himself therefore you are benefited from his experience.